Business cards have been a staple of business status for many years, containing varying degrees of contact information, personal details and business service information. In 2007 the US business card industry had an estimated worth of $1.2 billion with approximately 10 billion business cards being produced each year! 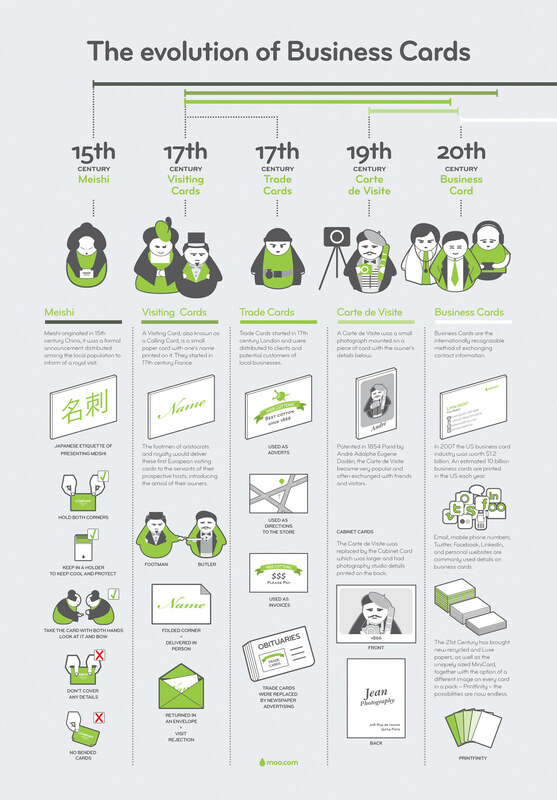 The following infographic by Moo takes a look at where business cards started out and how they came to be what they are today.